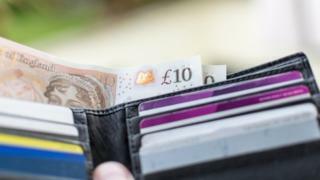 Typical weekly earnings for full-time employees in Northern Ireland increased by 2% in real terms over the last year, official figures suggest. That means typical weekly pay rose from £500 to £521, or just more than £27,000 a year. Northern Ireland and the West Midlands experienced the largest increase in weekly earnings of the 12 UK regions. In the UK as a whole, weekly earnings were £569, an increase of 1.2% in real terms from 2017. Despite the improvements, real weekly earnings in Northern Ireland are still below 2009 levels when they reached £527. The increase in Northern Ireland weekly earnings over the year was driven by the private sector, while typical weekly pay in the public sector fell. It seems clear that sustained employment growth in Northern Ireland is feeding through into increased private sector wages. Shop floor factory workers seem to have done best of all, with pay growth of around 7% over the last year. Northern Ireland has also moved to the middle of the UK regional pay league above Wales, the North East, East Midlands and Yorkshire. But public sector pay restraint remains evident with the typical wage falling in real terms. That can only add to the low morale in many parts of our public services. Private sector pay was up by 2.3% in real terms, while in the public sector the real terms fall was 2.5%. However, the typical public sector employee still earns about a third more (£621) than the typical private sector employee (£465). Some of the difference between the public and private sector figures are due to differences in the composition of the respective workforces. Many of the lowest-paid occupations, such as hospitality and retail, exist almost exclusively in the private sector, while in the public sector there is a larger proportion of graduate-level and professional occupations. The details are contained in the Annual Survey of Hours and Earnings. The UK-wide survey of employers is based on a 1% sample of employee jobs. It is drawn from HM Revenue and Customs' Pay As You Earn (PAYE) records. Northern Ireland remains the only region in the UK with a gender pay gap for full-time employees in favour of women. Women earned 3.5% more per hour than men in 2018, in contrast to the UK where women earned 8.6% less than men. The gap in favour of full-time female workers overall is partly to do with a higher proportion of public sector jobs in Northern Ireland compared to the rest of the UK. There are more women employed in this sector than men and these jobs tend to be higher paid, in general, than in the private sector. At a wider, all-employee level, there is still a gap in favour of men because there are more full-time male employees.